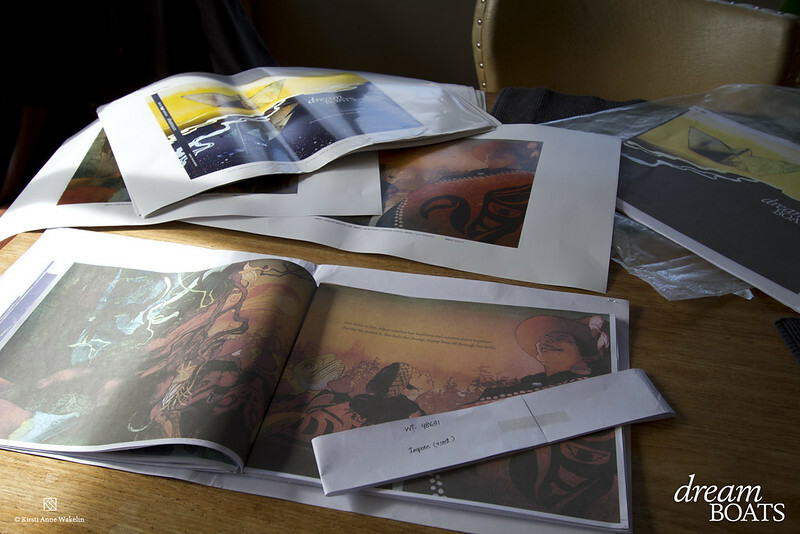 A few weeks ago I reviewed the second round of proofs for Dream Boats, including the fold and gather (pictured above). 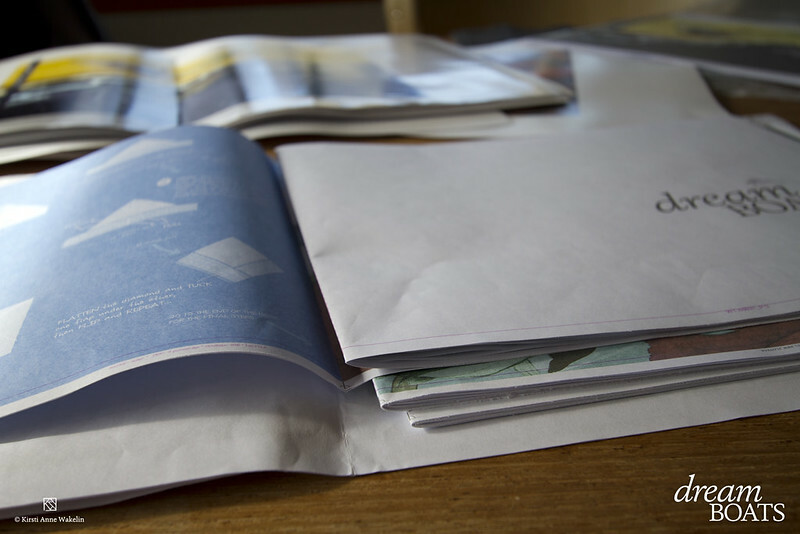 Printed proofs are so, so, so very important. It’s written in my contracts that I am to receive, review and sign off on proofs before the book goes to print, but the crazy thing is this is only the third book where I’ve actually received a full set of proofs to review. Sometimes I’ve recieved a page, other times nothing. Proofing is costly in time and money, so every so often it gets ‘forgotten’ with sometimes disastrous results. It is heartbreaking to spend a huge chunk of time on a project, only to open the book for the first time and see over-exposed, low resolution, or blurry images. Often the only reward for illustrating picture books is a nicely produced final product, so when it’s a dud, it can feel like a complete waste of effort and time – months to years, depending on illustration style and working speed. 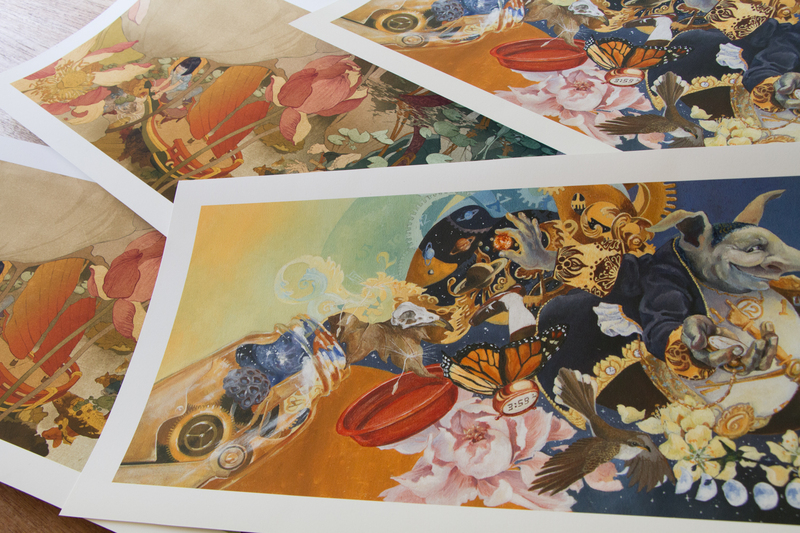 Since there is no physical artwork to compare the prints too, the proof process for Dream Boats was extremely important. The first round was looking a little too green, the second round looked pretty good – it appeared that the printers in Singapore were indeed able to to decipher my rambling, chicken-scratch colour notes on the first version. As I mentioned in the previous post on the first round of proofs, there is something about print that suddenly makes the typos and punctuation errors stand up and dance. Sometimes things slip through to the next round, like stubborn grammatical boxers. Major props to editors, I could not do that job. I think my heart would give out. There have been enough times when I’ve sat up in bed with an out of the blue thought such as “did I forget to change all instances of that character’s shirt to blue?”. 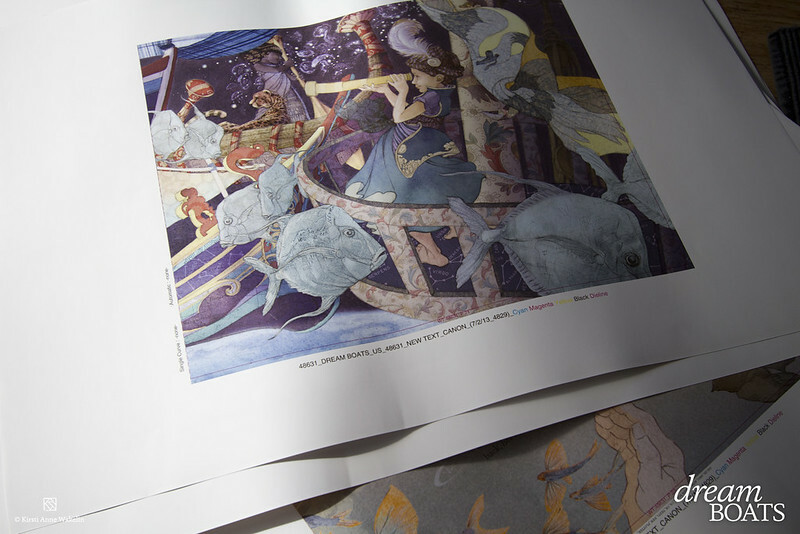 And now it’s too late for changes – this book has gone to print..